Why do a meditation challenge? Research has shown you can establish a new habit in 21 days. 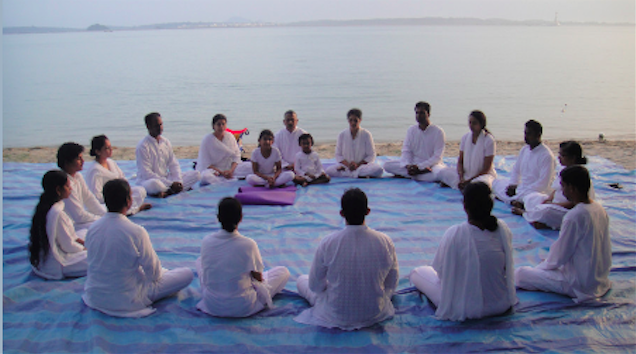 Participating in a 30-day Challenge is a highly inspiring way to establish a new habit of meditating. This can help you create a baseline for living your life with more resourcefulness, flexibility and ease. Andrea M. Winn, MEd, Heroic Leadership Coach, (Toronto, ON) was brought up in a Tibetan Buddhist community and has been meditating for over 40 years. She began practicing Vajrayana preliminary meditation practices in 1985, and has been practicing full Vajrayana meditation since 2001. She has led six 30-Day Meditation programs like this in the past, making this one her seventh! Elders will be introduced soon!